From beginning to end, the service I got was AMAZING! I would highly recommend Triple H to my family and friends. My husband and I would definitely use their services again for future improvements. Thank you for the excellent job you did! Christina M.
After a few years of throwing money out the window in high energy and oil bills we decided to do something about it. After contacting Triple H, Kyle and team came in and performed a thorough energy audit of our existing house. They were able to draw up a personalized plan on how and where we would get the biggest bang for our buck. After insulating our house and converting us from oil to gas, we quickly saw the huge savings. At this pace we will see a 3 year return on our investment, savings us thousands and thousands of dollars in the long run. Not only did they deliver the work in our home but Kyle and team showed us several different ways we could improve our energy efficiency by making simple changes in habits and usage. Lastly, Kyle made the process as seamless as possible as he handled all the paperwork with the different rebates and programs that we qualified for. Roy and Courtney A. Triple H contractors are a truly amazing company!! They are dependable, honest and reliable. We are thrilled with their work. I cannot give enough praise for the clean,neat and professional job. Their workers are the nicest and most polite people. At the end of each day’s work they pick up their drop cloths and vacuum the area so you are not living in constant mess as work is done. However, the best part is that before I had the work done my walk in closet was FREEZING COLD in the winter! And now it is toasty warm! This company lives up to all of its promises and more!! Even better the oil company has lowered my estimated bill by $75 a month and I am sure it will go down even more. Our home is a lot more comfortable with all the cracks in the basement and attic sealed with foam. Our money is not flying out the door with loss of heat! Looking forward to the house being cooler this summer. Also, happy with the tax write off I received! 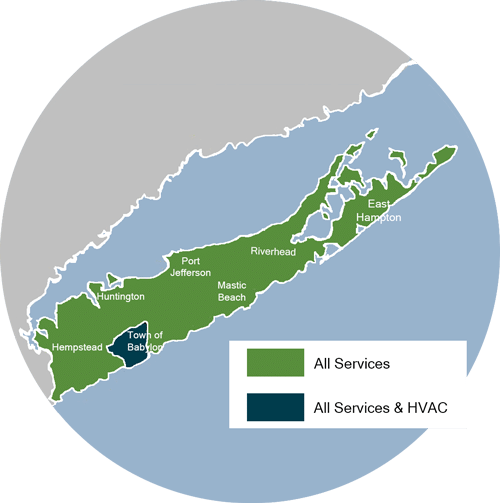 !Very satisfied in Smithtown, New York Sharon S.
I am writing to you to inform you of the integrity of the workers that did the insulation, etc., in my condo last month. The team consisted of Paul and Ryan as well as Shawn, Kyle and Sarge. They worked so well together as a team and put in a full day’s work each day stopping only for a quick lunch. They arrived earlier than expected and were extremely well mannered and information. I can only describe them as a group of young men who took their work seriously, and they are a fine example of the kind of young people that enhance your business model and certainly make your company shine. It was such a pleasure to have them here doing the work. They made me feel comfortable as they presented themselves in a way that generated trust. I don’t know if you get much feedback on your employees, and I want to be sure you are aware of the value of these fine young men, not only to your company, but to your customers as well. Christine R.